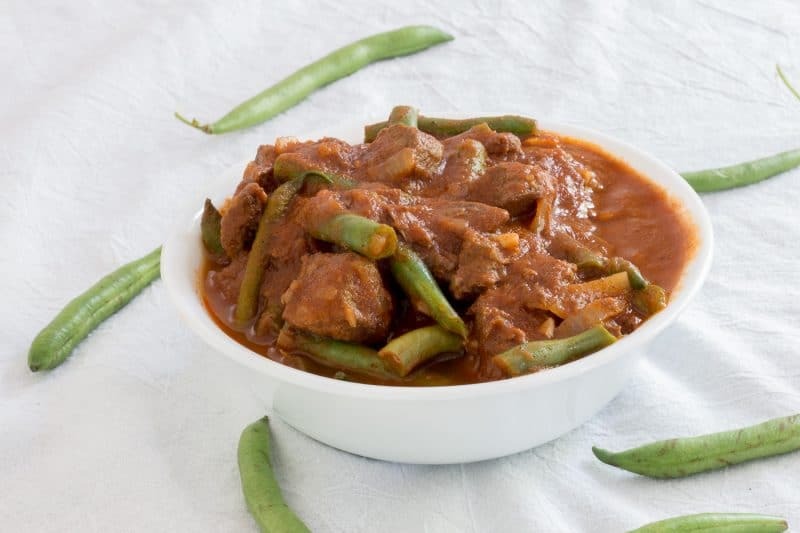 Lebanese Green Beans Stew is a warm spiced, gluten-free, beef and green bean dish simmered in tomato sauce. This dish is also called Lebanese Lubee by some. I know for those of us in the U.S., the thought of warm spices mixed with tomatoes and green beans probably sounds odd. Do not let the addition of cinnamon and allspice to a savory dish with cumin scare you off. It is a delightful combination. This is not something that I grew up eating, nor is it something Southern. 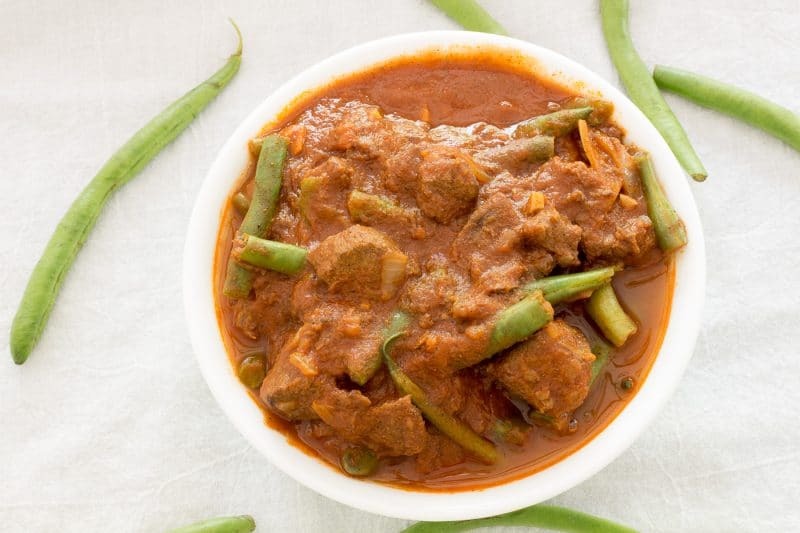 But Lebanese Green Bean Stew with Beef is something that I will put into my meal rotation. It is a dish that a good friend asked if I could re-create. First, I had to determine what this dish actually was. Not much to go on, but if you have read many of our posts, you already know we haven’t found a dish we can’t make and simplify yet, so the search began. I found quite a few recipes for Lebanese dishes that were similar, but not a single one that was Vietnamese. I would reference the exact recipe I was inspired by, but there were about 5 or 6 of them that made the cut. This one is probably a variation of all of them mashed together. The final hand-written recipe had a whole lot of chicken scratch going on. If I am off on the origin of this recipe, someone let me know in the comments or by email. I am willing to try any other version from a different culture! I did not think that this would be something that I would like. After all, I am from the U.S. and my cooking roots are deeply rooted in comfort and Southern food. As the green bean stew began to simmer, the aroma became almost too much to stand. OK, not almost, it did become too much. I finally had to taste it long before it was ready, about an hour into cooking. It was actually pretty tasty. 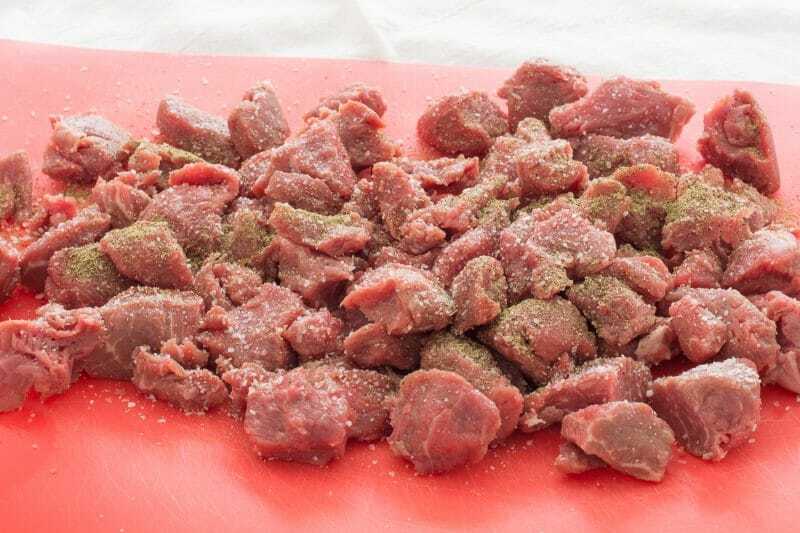 I find that seasoning the beef with salt and pepper prior to cooking and then cooking the beef until it is really brown helps deepen the flavors. 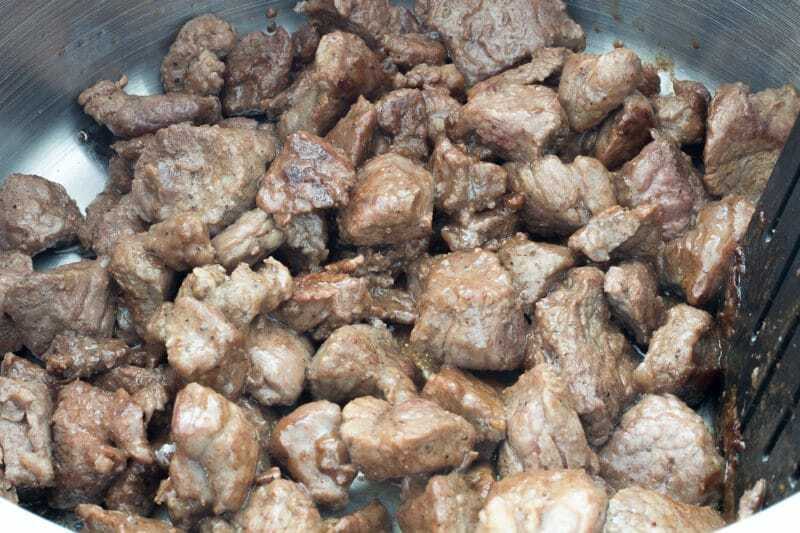 I get the best results when I use a large non-stick skillet for the browning process, then transfer the cooked meat into my 6-quart saucepan for simmering. Once everything is added except the green beans is added to the saucepan, set the heat to low. The liquid should be simmering and but not boiling. For beginner cooks, simmering means tiny bubbles will pop up on occasion, and even small tiny bubbles on many places. Any more bubbles than that and you are at more of a low boil. Basically, you do not want this cooking so hard and fast that food is splashing out of the pan and onto the stove or walls. 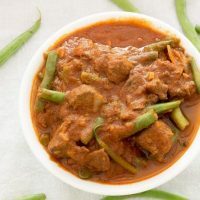 Depending on the type of meat you used, this dish needs to be simmered for 2 to 5 hours. I used stew meat from my mega-mart and cut the overly large pieces in half. It took about 3 1/2 hours for my meat to be tender. When the beef is tender, go ahead and add your green beans. I used fresh green beans because it was summer and they are readily available at that time of year. Fresh beans take about 30 to 45 minutes of simmering to reach my desired amount of doneness. If you like your beans crisper or more cooked, adjust the cooking time. Less time will produce crunchier beans, more cooking time will reduce is limper beans. I just like mine somewhere in the middle. Canned green beans will be ready as soon as they have heated through, make sure you drain the canned beans well before adding to the meat. You just spent hours getting that slow simmer flavored, so let’s not ruin it will bean juice! I find that frozen green beans take 20 to 30 minutes to heat all the way through and finish cooking. 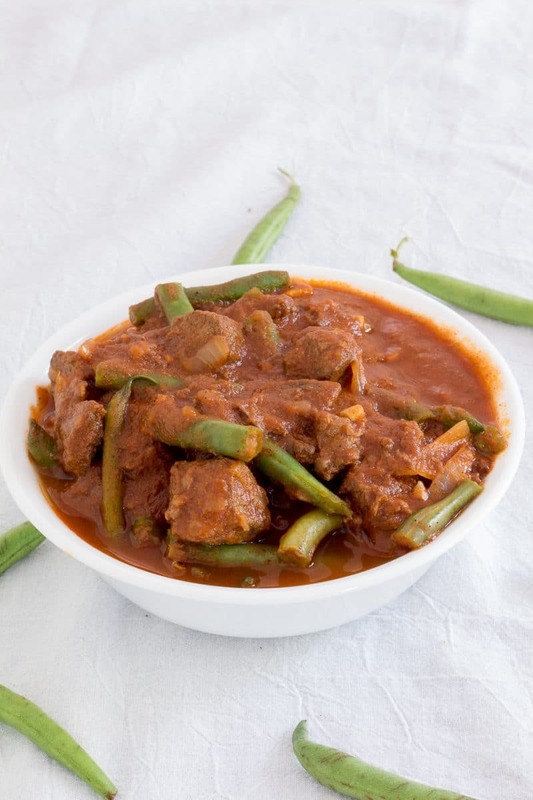 Warm spiced, gluten-free, beef and green bean dish simmered in tomato sauce. Add olive oil to a large pan and brown the beef. This may need to be done in two separate batches depending on the size of your pan. 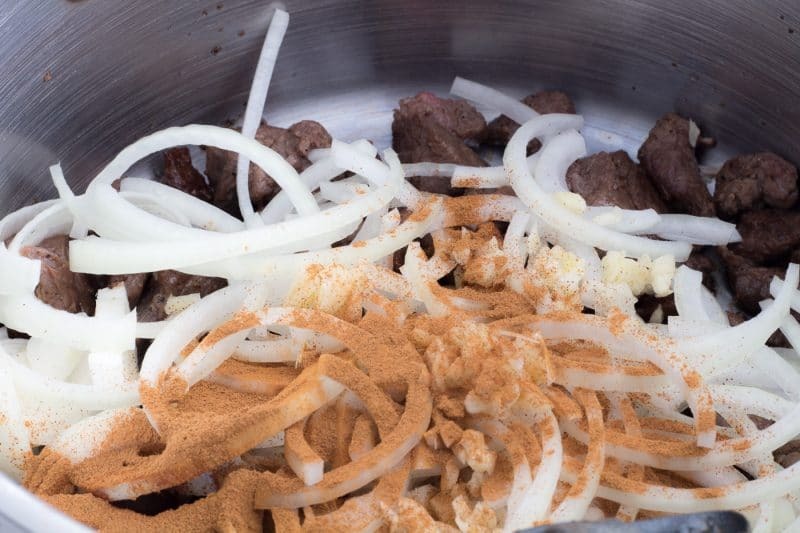 Add onions, garlic, tomato sauce, cinnamon, cumin, and allspice, mix well. 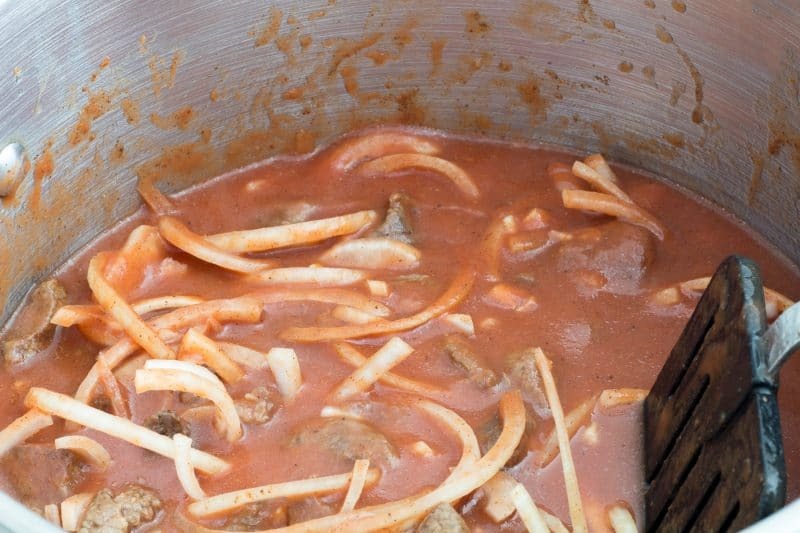 Reduce heat to medium-low and continue simmering for 3 to 4 hours or until beef is tender. Add cut green beans and simmer another 1 to 2 hours or until green beans are to the desired doneness.